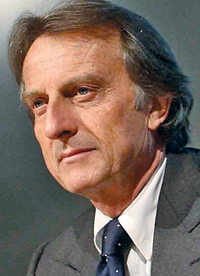 Luca Cordero di Montezemolo is keynote speaker. The theme of this year's congress is "Building Resiliency in Turbulent Times — Managing the Unexpected in an Age of Complexity." Among the scheduled speakers are PSA/Peugeot-Citroen CEO Philippe Varin, Renault Chief Operating Officer Carlos Tavares, Opel/Vauxhall CEO Karl-Friedrich Stracke, Porsche CEO Matthias Mueller and Volvo Cars CEO Stefan Jacoby.